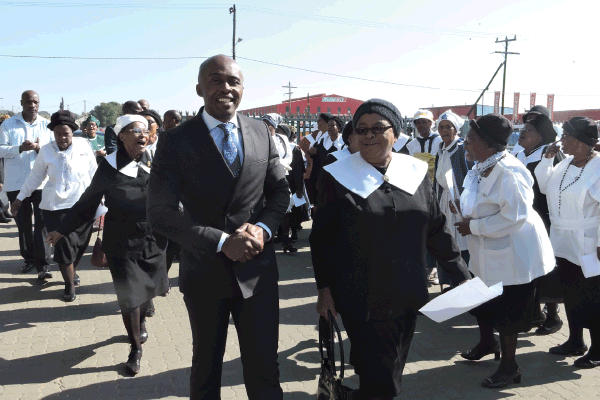 Rustenburg – On National Women’s Day, 9 August, as part of celebrating national women’s month a special prayer event was hosted by the Interdenominational Women’s Prayer Tlhabane and Cluster group at the Tlhabane Community Hall. In support of women, from left, cllr. Mpho Khunou, executive mayor of RLM and Glodina Phetoe of Uniting Reform Church of SA. The prayer meeting was led by Reverend SL Njuza who prayed for the protection of mothers, daughters, fathers, sons, the youth and the elderly. 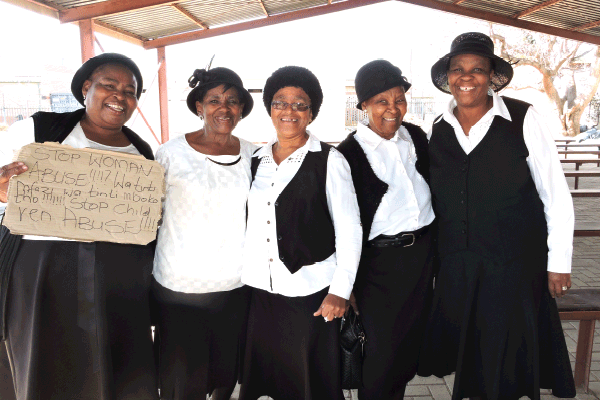 United in prayer, from left, Clara Sekgothe, Innocentia Molefe, Bertha Toute, Constance Njuza and Emily Khumalo of the Interdenominational Prayer Women’s Choir League. “A woman is the backbone of the family and therefore needs protection,” Germina R Pilane, chairperson of the Interdenominational Women’s Prayer Tlhabane and Cluster group said.